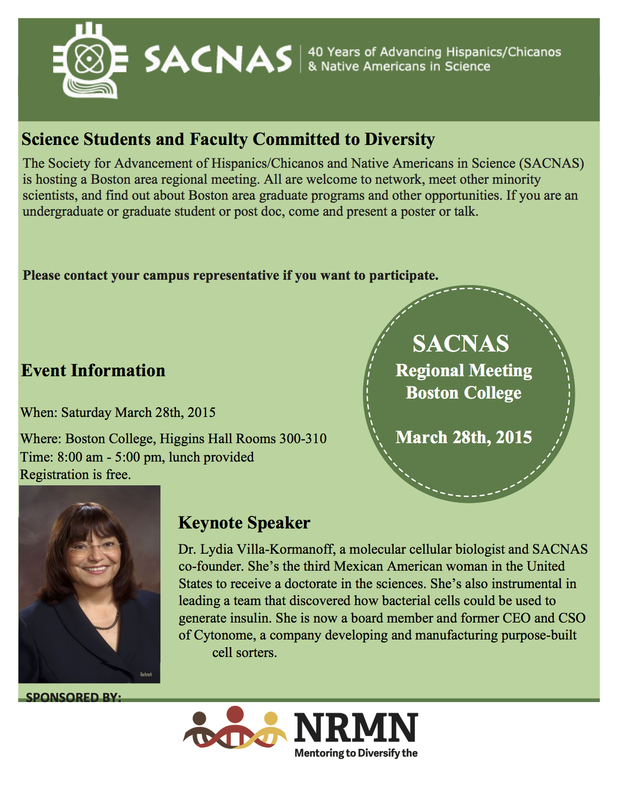 A Boston Chapter of the Society for Advancement of Hispanics/Chicanos and Native Americans in Science (SACNAS) is forming and holding its first meeting. See details below and here find links to the campus map and free registration – TODAY (18th) is the deadline. There is also a national conference later this year. All are welcome at these events.